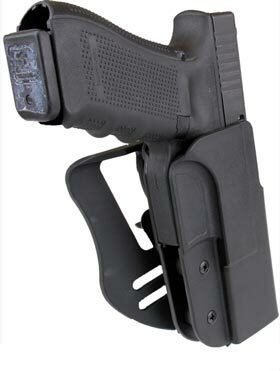 If you like the easy access of outside the waistband carry, and you're comfortable with Level 1 retention, this is a great holster for you. Anyone that's done competition shooting knows the name Blade-Tech. 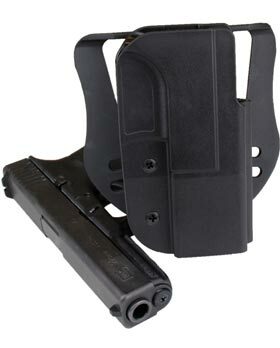 Their holsters are comfortable, tough, easy to put on, and easy to use. 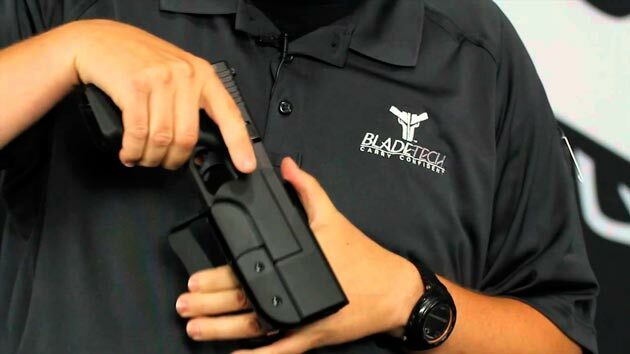 The new Revolution Holster may not be everything you'll find in their Stingray line, but at less than half the price, it's an outstanding holster. Level 1 retention means there's no buttons or switches to click in order to draw the pistol. 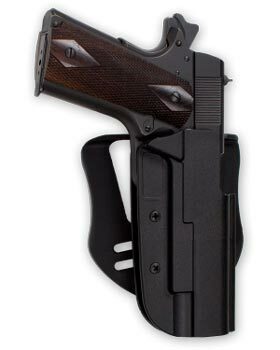 Just like their competition line of holsters, once you get a good grip on the pistol, drawing from the holster is a smooth no-nonsense action. The Revolution comes with both the belt and paddle accessory in the box. 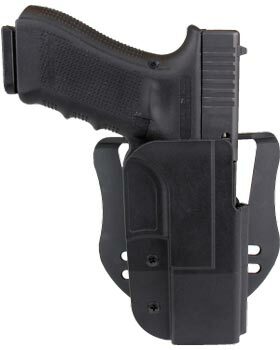 We'll have these new holsters available in all of our training classes for you to try out first hand. At Top Shot Academy, our favorite thing to put through a barrel is a full metal jacketed projectile, but there comes a time when they need cleaning. The second thing we like putting through a barrel is the Hoppe's Bore Snake. 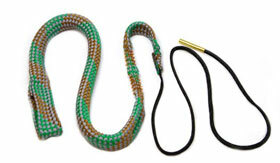 The Bore Snake comes in sizes to fit every caliber you own, and the greatest thing about them is you don't have to do any disassembly of your pistol or rifle to use it. Just like the name says, it's a kind of a snake that's a little larger than your barrel so that as you pull it through it pulls out the grime left from your projectile. Depending on how much you shoot, you should run one through your barrel either after each range visit or after every 200 rounds. A clean barrel helps maintain your accuracy. 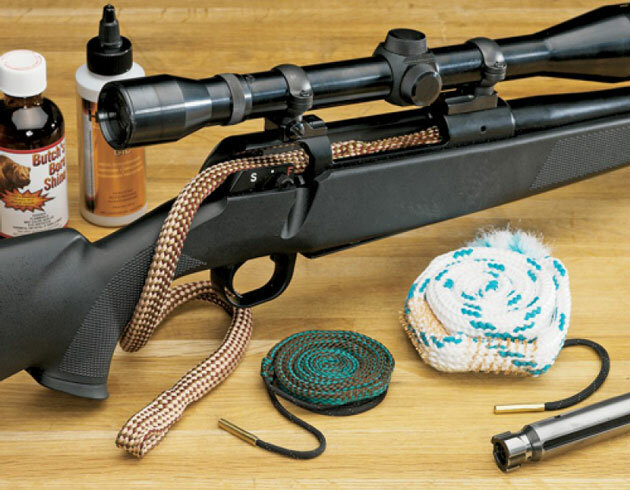 Before cleaning or doing any maintenance on your firearm, make sure that you've removed all ammunition and ammunition feeding devices from the immediate area. 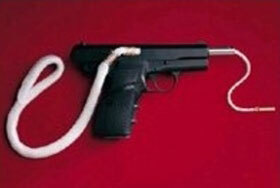 Even if you know it's unloaded, never point the firearm at anything you're not willing to destroy. Be Safe, Have Fun, Shoot Straight, Shoot Fast. I don't like computer cases that look like computer cases, or gun cases that look like gun cases. They scream out...STEAL ME FIRST. That's why I really like the Bulldog Discreet AR Case. To the casual observer, it could be a keyboard, skateboard, or something else. Since it's not formed in the shape of a rifle, it doesn't draw attention like a typical rifle case. As far as being a rifle case, it's really great because it has backpack straps so you can sling it on your back...AND it has zippered pockets to hold your AR or AK magazines. Pssst....tell only your closest friends.